When most people think of Millie Dresselhaus, they think of her as Millie the professor, Millie the teacher, Millie the scientist. I think of her as Millie the musician. I met Millie through music, back in the late ’90s. My husband played viola and, one day, another friend of ours who is also a musician introduced us. 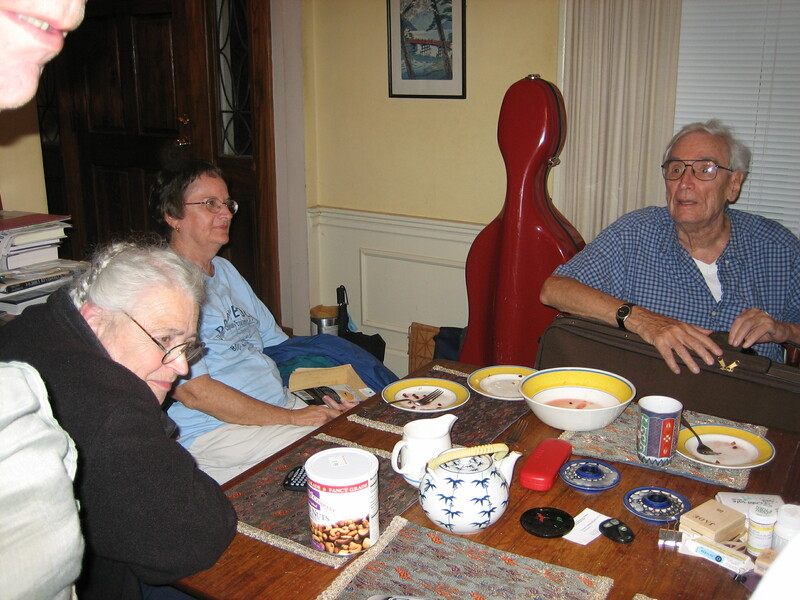 He took us to Millie’s house where we played string quartets together. That first musical assembly led to a second, then a third, then a fourth. 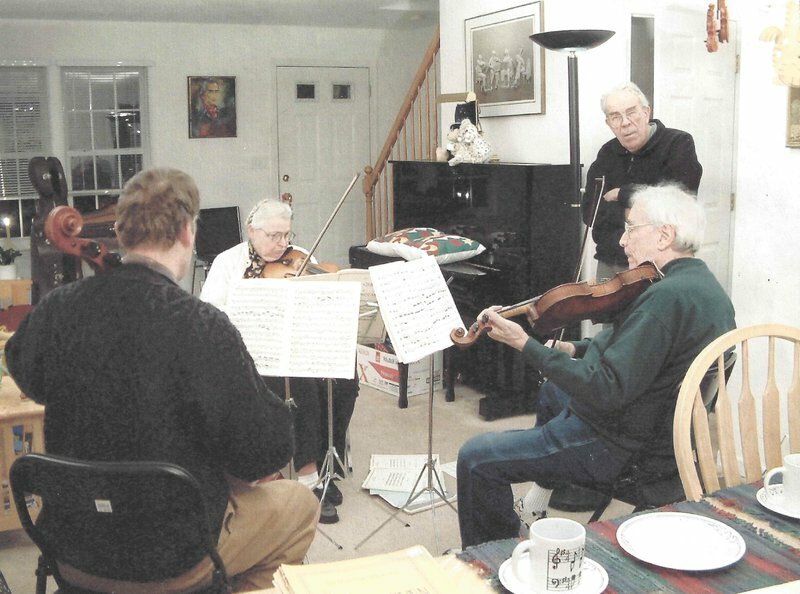 Soon, we were always over at Millie’s house to play quartets — sometimes, more than once a week! Millie's enthusiasm for her music mirrored both her dedication to science and her dedication to everything else she did. Millie seized the moment, no matter what the circumstances. I came to learn this about her over the nearly 20 years I knew her. It always awed me how she could come home from a long overseas flight and immediately sit down, pick up her violin, and play quartets or quintets long into the night. She never needed rest! I remember how her personality always shone through, during those times when my husband and I came over for music. Her kindness, her compassion, her intensity and persistence was felt in every movement of her fingers and flick of her bow, and it echoed through every note she played. Her soul and her heart shone through her music. As so many others have said, Millie was always inclusive and accommodating to everyone. When my husband became unable to travel, Millie said, “Oh, that’s no problem!” She and Gene and their son, Carl, simply packed up the car and drove out to Marlborough to play at our house. Thereafter, whenever Millie was available on weekends, they would pack up the car and drive over to play with us. And I know that, as Gene drove her over, she sat in the back, working, the whole time. Sometimes she was correcting papers, sometimes she was doing physics, sometimes she was just darning socks for her family. Playing was not simply a social event — Millie also saw it as an opportunity to learn. She was, at once, both the professor and the student, always intrigued and curious and eager to discover new techniques. She told my husband many times that she was excited to learn all the many things he could teach her about playing chamber music. 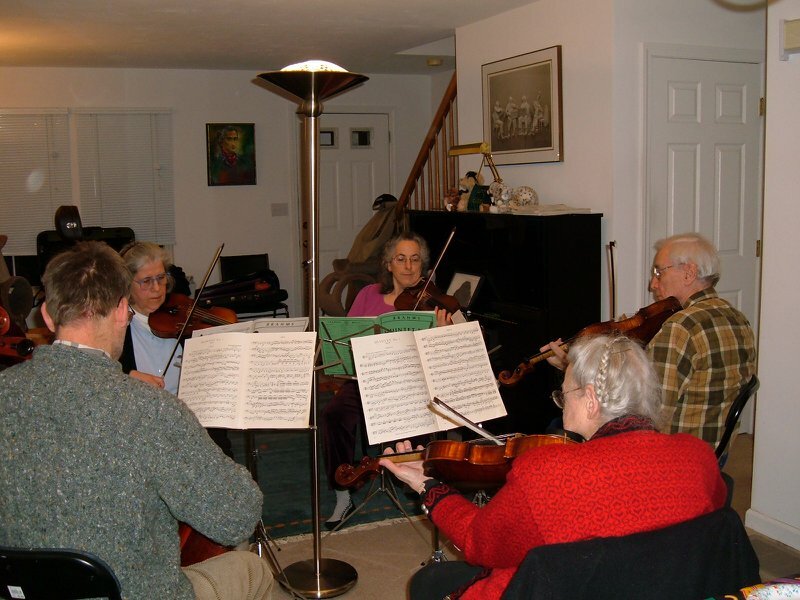 True, she had been playing chamber music her whole life, but she still wanted to learn more. When I reflect on this and consider all her accomplishments as a professor, I am deeply moved by this illustration of how open she was to new ideas, no matter what their source. Millie shared herself with us in a way that touched my very soul. Even though she is gone, I know she will always be a part of my life.